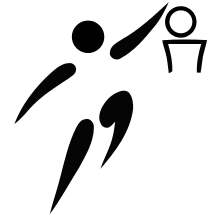 The Indian Ocean Island Games (French: Jeux des îles de l'océan Indien) is a multi-sport event held every four years among athletes from Indian Ocean islands. The Games was adopted by the International Olympic Committee (IOC) in 1976 and currently gather the islands of Mauritius, Seychelles, Comoros, Madagascar, Mayotte, Réunion and the Maldives. The number of athletes who participate has increased over the years, it went from 1000 athletes in 1979 to over 1500 participants in 2003 and 2007. From 1947 until 1963, a precursor called Indian Ocean Games Triangulaire was organized between Madagascar, Mauritius and Réunion. 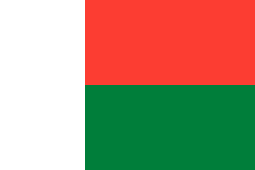 In Madagascar 1963, a football match between Mauritius vs Madagascar was abandoned at 1-1 in 54'. Then Madagascar declared winners of tournament. After this match Mauritius refused to play and the tournament was not held anymore. In 1974, the Regional Olympic Committee of Réunion decide to organise a multi-sport competition in the Indian Ocean and it was finally adopted by the IOC in 1976. The competition was initially billed as the Indian Ocean Games. However, its name was changed to the Indian Ocean Island Games before the first games, without the participation of Sri Lanka, initially in the bill. The objectives of the games is to contribute to regional cooperation through the development of sport in the region, build friendship and mutual understanding between the peoples of the islands of the Indian Ocean, in the spirit of Olympism. Allow athletes to have every four years, a competition whose interest and level are commensurate with the real sport of the region, create a regional event whose repercussions will ensure the infrastructure development of countries in the area that lags far behind. Five countries participated in the creation of the Games. They are Sri Lanka, Seychelles, Mauritius, Comoros and Reunion. They drafted the Charter of the Games. Originally, the Games were to take place every four years, however this frequency was not observed from 1979 to 2003. Mauritius includes the islands of Rodrigues and Agalega. In 2003, Mayotte participated together with Réunion as France Indian Ocean. Official website of the 7th IOIG. Official website of the 8th IOIG. Official website of the 9th IOIG.